After months of preparations the full release is finally here! Whether you’re a newcomer or a regular player, this changelog will guide you through the changes. For players, who returned after a longer time, we’ve also included a summary of major updates since the release in January. Firstly, thankyou for such an amazingly rich and beautiful game environment, and for the time you've put into to overhaul things. Here are my views having played a few games so far, and I appreciate that these are not based on any scientific investigation, just my feel of the changes. 1: I do like the changes relating to speed, shields and block levels, I think they help balance up the game rather well. 2: The changes made to bring the cruiser as the base ship and the changes to progression and junk/xp are also a positive development. 3: The new maps are very beautiful to look at and fly round and have some fantastic detail. 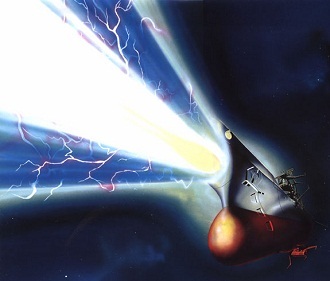 1: The reduction in the range of the gauss gun and cruise missiles on a battleship now means it cannot defend against heavy laser based ships even with defensive mode activated. I've watched my and other battleships be taken apart in seconds because they couldn't get those first shots in to disable an enemy. 2: The random choice of map doesn't seem to bring out a map that works for gauss based weapons. I appreciate that the sniper play style is divisive, but all maps now seem to be a missile players paradise, rather than having features which work for all playing styles. Abandoned colony certainly favours missile based weapons over everything else. (which I appreciate was deliberate). 3: The lack of score when entering a custom match. Many people will look to use the custom match to test out new designs and options as the bots fight back (and use abilities too), rather than use the practice area where they don't. I can see the custom match being used by those players that want an alternative to the team play style now required in the main match arenas, but still want to gain junk and XP. Given the coding exists why is this not an option? or is it simply to push people to play the new game mode? I welcome the new game mode it's more gripping with capture points, but did the developers need to completely get rid of the old game mode? I would welcome it as an alternative mode instead of being launched into this all the time, I could see this being a bit over whelming for new players and practice aint going to cut it! I think your right something needs to be done about those missiles in this new design game mode, there was a change to them a while ago that they could get hidden ships in range, maybe this should be turned off for now? For now I'm happy, it's a lot better there seems to be more real players about and less bots so that's a positive! I love this new update. New maps are awesome. Really nice details sometimes I feel like we could play hide and seek in them just to enjoy them. Also DPS nerf for frigate is great. Now they have their own specific role in match. I feel little bad for battleships with their reduced range and lack of speed so i hope they will get something in return in future. Also if I can ask here, were there some nerf about frigate speed ? Because my frigate with engine overload is much slower than before update and i dont know if its bug or just some change. To address some of your concerns. goes against that role. However there are more blocks planned for the class in the future. What do you think would help compensate against its weakness against snipers? Frigate speed - There was not supposed to be any nerf to the Frigate's speed or Engine Onverload's speed boost. We'll look into it. Custom Game rewards - It's intentional that the Custom game gives no rewards, because it would be too easy to abuse. Removing Team Deathmatch from MM - This is a negative side effect of our goal to make the game more varied and tactical with the new game mode. We think it was necessary to leave only Galactic Conquest so that players who build ships advantageous for the new game mode don't have to worry that TD will come up and their builds will be useless. Thank you for your post Gajxo, its useful to have some insights from the developers point of view. 1: I can see how a tanky area/point defender is going to be useful, but can also see issues relating to armour/speed/weapons, combinations, especially given the huge gaps between speeds of the fastest and slowest classes. My reason for suggesting such high numbers relates to the coring issue identified previously, and that if a battleship is to become tanky it won't have the ability to move quickly enough to get out of range of laser based weapons. I agree it should have a cool down, and agree there should be a 50% reduction in movement when the shield is deployed. have three options when you click on the play screen. 3: The custom game mode. By the same token, many of the existing ship designs other than for frigates are now very limited or useless in the new game mode forcing a redesign as well. By giving the players a choice of which kind of match they go into they can pick a more appropriate design. Battleships are really the weakest class now in my opinion, they could benefit from self healing since they are easily disabled (engines) and then they become useless in the new game mode. Other than that I think everything is fine though the meta is shifting for builds that have mobility rather than DPS. 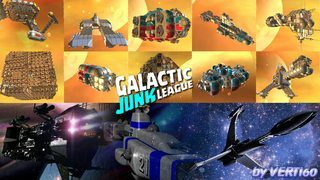 Check out all my GJL streams, duels, ship fights and showcases! I think if player get score for every few sec he stay in point and deffend it, then player can earn comparatively the same score like frigate. I do enjoy BB, but i too have some commentary on them. the other three classes work wondefully, but the BB feels under powered in its role function. it can sit on a Cap point and tank, sorta. thats great, but it cant do much to hold that point without combat support. Frigates may not do much damage anymore, but they are amazing harrassers and point grabbers. a good Frigate player can be the difference between winning and loosing. Cruisers are pretty legit all around, though i feel that the Bubble sheild should be a BB power, or that a BB should get a similar or greater power since its focus is defense. fires 3 rounds with .5 seconds between shots. 50 -100 energy cost per shot. long reload , slow projectile. Explosive radius. shape of 4 long, 3 wide, 2 high. It is mentioned healing kits will be dropped in battle in a future game update.... a built in effect you could add to Battleships is that BB automatically Magnetize in health kits ina 1-2Km range and the health kits are stronger then it would be for other classes picking them up. you could (depending on how you plan to use this mechanic) also have them drop from ships the BB kills. give the BB a frontal sheild with 5-10k hp and a radius/width of 15-20 blocks. the shield would stand out by about 10 blocks from the BB. this would llet the BB lead weaker ships like DD into a point, by giving them mobile shield protection. this ability would last until the sheild is broken, or die out in 15 seconds. similar to the cruisers Bubble sheild. would let the BB tank weak hits and stay alive without taking critical damage from under focused attacks. the goal of Battleship armor is understood, however, its implementation is... poor. Battleship armor comes in 1 shape. a 2x2x1 block. its VERY creatively limiting. the few BB that do last in games these days tend to fill the "cheesebox" role. many of us consider this the only effective build for BB. CHeesebox + rocket launchers and Mag pull + fortress mode. for the most part, many of us believe Battleshps cannot be effective without those components. A: remove the BB special 2x2x1 Armor and makethe regular Armor plates for Battleships have 200% healthpoints of the base armor plate, keep weight penalties, or increase them. possibly reduce hull HP to base to compensate. C: Replace the Armor Mechanic with something better. perhaps make every 4 adjacent armor plates fuse into one single armor plate. Yes BB need some Big weapon like that. Make it like ability that recover hp of existing blocks but desable all engines and weapons when is active (like defendsive mode) then it dont give you lot of survivability in fight but you can recover after fight. and i think something like this can be for all classes but only tanky BB benefit most from it.